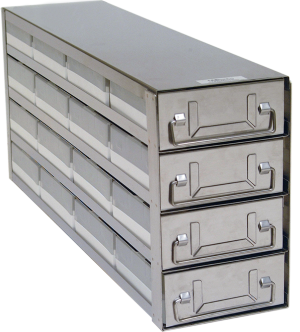 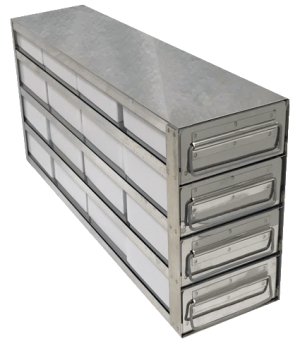 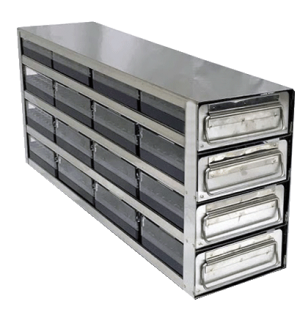 High quality Upright Freezer Drawer Racks are constructed of corrosion resistant stainless steel, including handles and identification card holders. 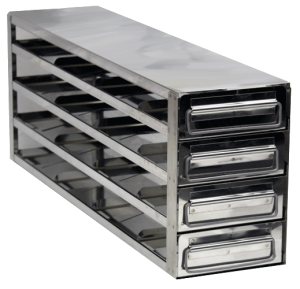 Upright Freezer Drawer racks offer a more organized system for storage and retrieval of samples. 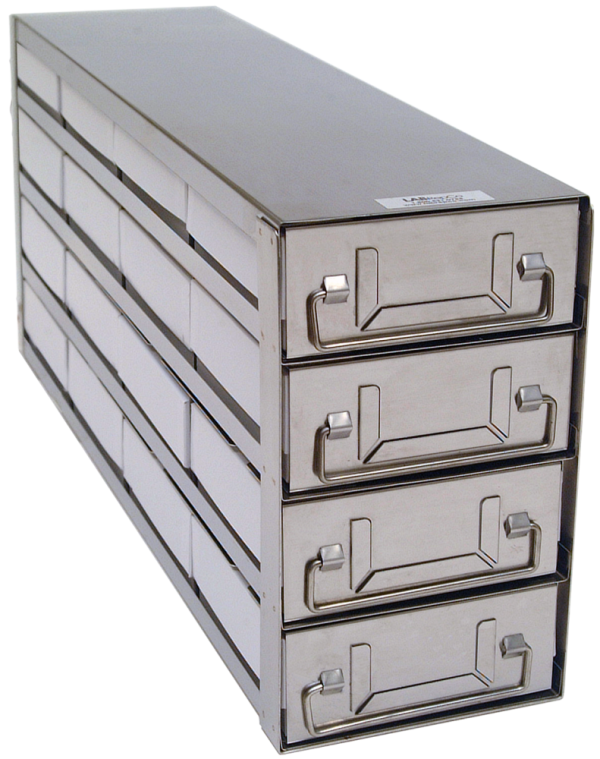 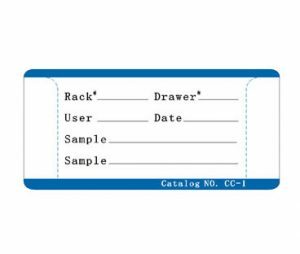 Drawer racks facilitate both access to and storage of samples without having to remove the whole rack from the freezer. 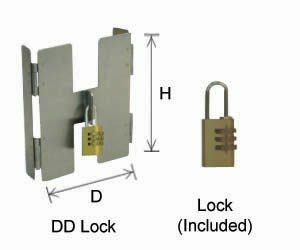 Security lock devices are available for each rack though ordered separately.